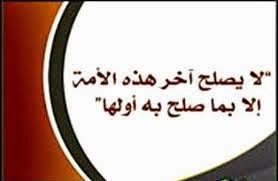 المنهج السلفي: if each one corrects his Own family, the WHOLE Country will be Correct ! if each one corrects his Own family, the WHOLE Country will be Correct ! You cannot choose Where you want to die, When you want to die, But be concerned about HOW you're gonna die ! How Western Govt (US) kills Osama bin laden & Abu bakr al baghdadi, etc. Vaccination is NOT equal to Immunisation ! Foiling the attempt to attach "Terrorism" to "Salafiyyah"
No CopyRights, But please refer the source. Simple theme. Powered by Blogger.